I came here after watching through the main series, which I absolutely adored. The humour in this series is certainly on a similar level, but the characters themselves felt flat. In the main series, the humour for me came from a cast of deceptively complex characters interacting and learning about each other, and how they responded to various situations. In this one, it feels more like the jokes were made first, and the characters were created for the sake of the punchlines. If you liked the humour in the first one and weren't too bothered about the characters, then this is the perfect series for you. If you only really cared about the romance between the characters then you'll probably still enjoy this one. But if you became invested in the characters themselves, and enjoyed seeing how they'd react throughout the series, this will probable feel like a much more generic slice of life/comedy series, without nearly as much charm. You'll probably still find some enjoyment in it, but it holds nothing on the main series. 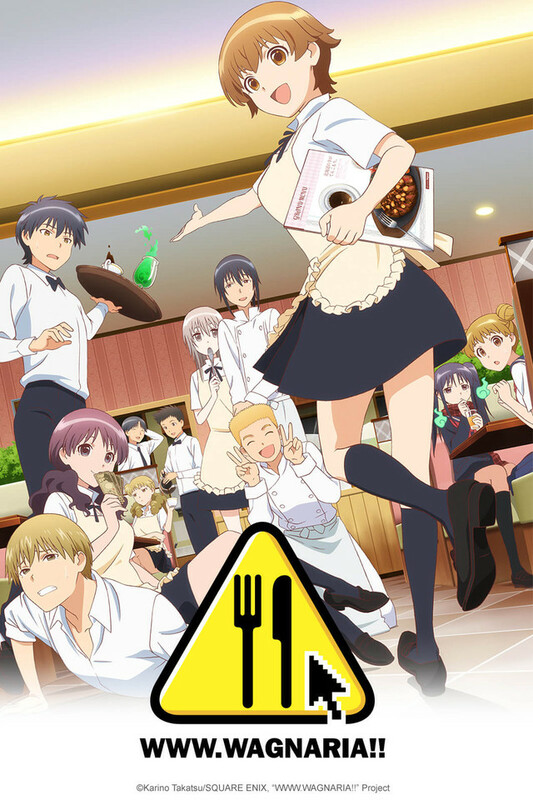 This is set in an alternate store to the original Wagnaria/Working anime, with a different cast. The Wagnaria restaurants attract interesting employees and customers wherever they are. Try not to compare it directly to the first series, this is its own story. A bit of a slow start, but the characters and comedy grow this into a good series. A step behind its older/younger sibling. Based on the web comic that inspired Wagnaria! this subsequently produced anime is somewhat meaner in its comedy. It's still funny (the chocolate joke is neverending ) but a noticibly different--yet related--creature. Worth your time, either as prequel or sequel to its superior sibling. The thing people need to realize is that this is not season 4, a sequel, or even really a spinoff. Due to being created for the web prior to the Wagnaria/Working that we know and love, it's more a prototype series than anything else. Now that's not to say that it's not worth watching. If you like gag anime in a work place setting, it's definitely going to be something you might enjoy. It has much of the same light hearted atmosphere as its successor series that people tend to like. But that is it's downside as well. The gags and characters are just too similar from what you see in the "older" series. Not only are they too similar though, but they're also just far less refined. Hence calling this a prototype series. Would it warrant a 4 star from me if it had come out as an anime prior to the Wagnaria that we all know? Maybe... But at the end of the day, it's a gag anime. And I'm not laughing as much as I would like to be.